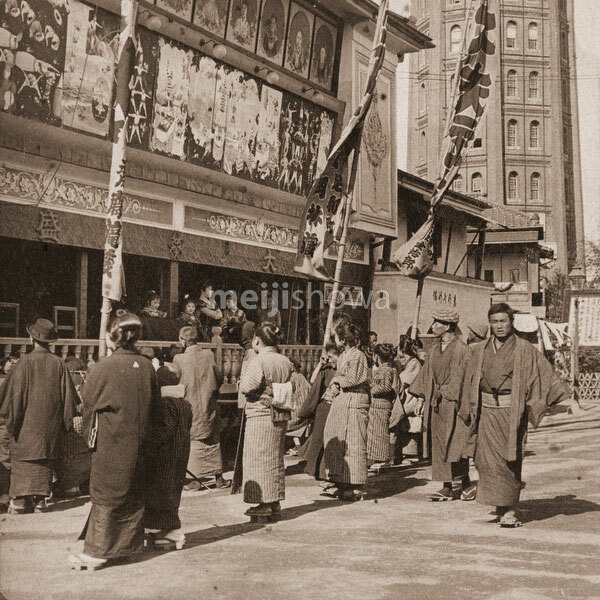 Theater Street in Asakusa, Tokyo, 1904 (Meiji 37). The huge banners promote the theaters. In the background Ryounkaku, also called Asakusa Junikai, can be seen.